"Bonsaiville was established in 1963 & built up with loving care; with the idea that eventually it would open to the public." and individuals or if you just want sit in tranquility. 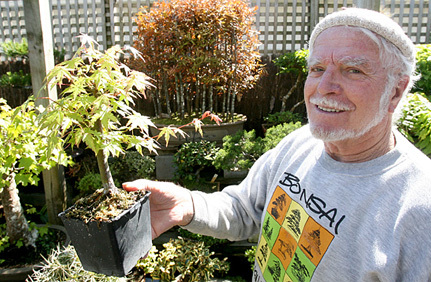 I started Bonsai in 1963 & I am the one founder members of the Auckland Bonsai society. President for 20yrs & Honorary life member. QSM – for services to Bonsai & local charities. Honorary Consultant to The Auckland Chinese Bonsai Society. Life Member of The Auckland Japan Society. Two achievement awards from Japan for fostering. Inter racial communication thru Bonsai. I did my training with:- Ben Suzuki (Los Angeles)i1975/6. Also with Melba Tucker (suiseki), John Naka, Kan Kohmia. In 1981 with Saburo Kato (Japan) 1988/9 intermediate and advanced certificates with Dorothy Koreshoff. 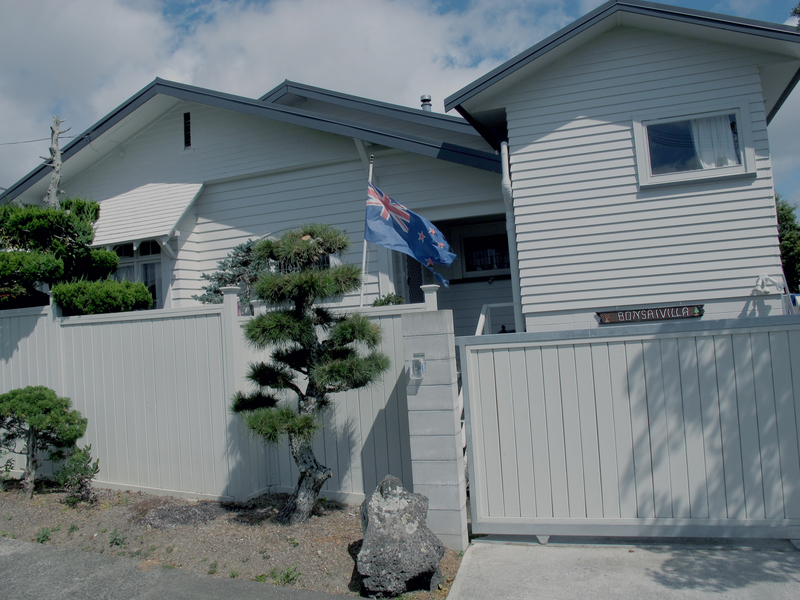 Presented & Demonstrated Bonsai in Canada (Calgary, Lethbridge & Toronto) Australia and all over New Zealand. I have judged in U.K & attended conferences all over the world. I teach all styles and all levels of students at our Bonsaiville Study Group but my favorites are Raft, Driftwood and Literati. 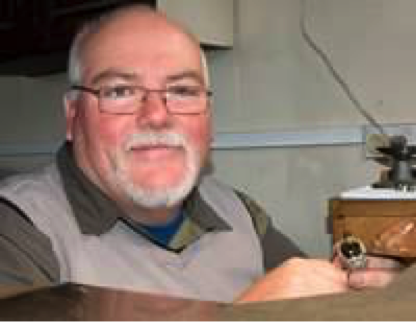 I have 25years of experience in growing Bonsai & other plants? For the past 20years I have been with Rob at Bonsaiville. I am a first-rate teacher in Bonsai, Manufacturing / designer jeweller doing most of my own one off pieces in my workshop in the garden. Copyright © 2018 Bonsaiville. All Right Reserved.